"The best deal you can find unless you find one better!" 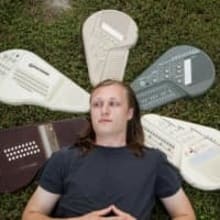 My name is Ross Collier, and I'm proudly the Omnichord Guru of Middle Tennessee. Delightedly operating in sessions & in basement tape recordings in Nashville. Archiving the beauty of the Suzuki Omnichord from the OM-27 to the OM-300.